Canada's top diplomat in China says the Huawei executive arrested in Vancouver at the request of the United States has a strong case to fight extradition, a position that has prompted backlash from the Conservative opposition in Ottawa who say this sort of interference by an ambassador should not be tolerated. Canada's top diplomat in China says the Huawei executive arrested in Vancouver at the request of the United States has a strong case to fight extradition, a position that has prompted backlash from the Conservative opposition in Ottawa who say this sort of interference by an ambassador should not be tolerated by Prime Minister Justin Trudeau. Meng Wanzhou, the 46-year-old chief financial officer of the telecom giant, has "quite good arguments on her side," John McCallum said at a news conference with Canadian and state-owned Chinese-language media in Markham, Ont., on Tuesday. "One, political involvement by comments from Donald Trump in her case. Two, there's an extraterritorial aspect to her case, and three, there's the issue of Iran sanctions which are involved in her case, and Canada does not sign on to these Iran sanctions. So I think she has some strong arguments that she can make before a judge," he said in his opening remarks. McCallum said a judge will ultimately make the decision on whether she should be extradited, and stressed there has been "zero involvement" by the federal government. In fact, before McCallum's remarks Tuesday, the government had studiously avoided discussing the facts of the case in public. Prime Minister Justin Trudeau dodged a question Wednesday when asked whether he agrees with his ambassador's assessment that Meng is well-positioned to argue against extradition to the U.S.
"Canada is a country of the rule of law, and we will make sure the rule of law is properly and fully followed. That includes the opportunity for her to mount a strong defence. That is part of our justice system," he said during a press conference in La Loche, Sask. Meng is accused of violating U.S. sanctions against Iran through a Huawei subsidiary. Meng's case has drawn international attention, and sparked diplomatic tensions between Canada and China. McCallum, who spoke only to Chinese-language journalists Tuesday without providing advanced knowledge to mainstream media outlets, said the Meng case has angered Chinese President Xi Jinping personally. "I do know that President Xi Jinping was very angry about this and so others in the Chinese government have taken the lead from him, and I don't know exactly why," McCallum said of the Communist party leader. "Maybe it's because Huawei is a national flagship company of China. It's not just any company; it's a special Chinese company. So, maybe that is why he is so angry." After McCallum's comments surfaced in the mainstream media, a spokesperson for Foreign Affairs Minister Chrystia Freeland said Canada is committed to pursuing a fair and transparent legal proceeding. "There has been no political involvement in this process. Canada respects its international legal commitments, including by honouring its extradition treaty with the United States," Adam Austen said. Conservative Leader Andrew Scheer said it was "completely unacceptable" for McCallum — a former minister in Trudeau's government before he was appointed Canadian envoy in Beijing — to insert himself into a legal process that is playing out in a B.C. court. "John McCallum, as ambassador, has a very special place in this whole dynamic. He's not someone with an opinion, or a professor opining. He's the spokesperson for the government of Canada in the very country where we have this situation. This is an independent process and something that could very well be seen as inference," Scheer said in an interview with CBC News Network's Power & Politics Wednesday. "If I were prime minister I would fire John McCallum," Scheer added, saying such a move would bolster Canada's claim that it takes the independence of its judicial system seriously. Erin O'Toole, the Conservative foreign affairs critic, said McCallum's comments, which were made after a meeting with the prime minister and his cabinet on the matter, inevitably raises questions about political interference in sensitive legal proceedings. "Did Trudeau instruct the ambassador to make these statements? Did the Liberals exclude Canadian media from the press conference to limit scrutiny? Why did the ambassador not raise these issues when he met with MPs?" O'Toole tweeted. "The Conservatives have urged more strategic outreach to Chinese media, but with a focus on the fair process and friendly treatment of Meng Wanzhou without assessing the legal merits of her case," he said. David Mulroney, a former Canadian ambassador in China, said McCallum's comments to Chinese-language media were "almost impossible to understand." The comments come a day after Chinese Foreign Ministry spokesperson Hua Chunying said Canada and the U.S. have abused the extradition agreement in Meng's case. David MacNaughton, Canada's ambassador to the U.S., confirmed to CBC News that U.S. officials have indicated to him they will soon file the formal request needed in the extradition case. There is a Jan. 30 deadline to complete this work. Canadians Michael Kovrig and Michael Spavor have been detained in China in what Trudeau has described as "arbitrary" detentions in retaliation for Meng's arrest. Chinese officials has said only that the two men are accused of "engaging in activities endangering national security." Another Canadian, Robert Schellenberg, recently had his 15-year sentence for drug smuggling changed to a death sentence by a Chinese court after a retrial. McCallum said there had been great progress in strengthening Canada-China relations before Meng's case erupted. He said while it is a "difficult time" in bilateral relations, officials and business leaders should continue to move forward. Canada has issued a travel advisory for China that warns of arbitrary detention, and China has reciprocated with its own warning about Canada. Citing the "arbitrary detention" of a Chinese national at the request of a "third-party country," China asked citizens to "fully evaluate risks" and exercise caution when travelling to Canada. 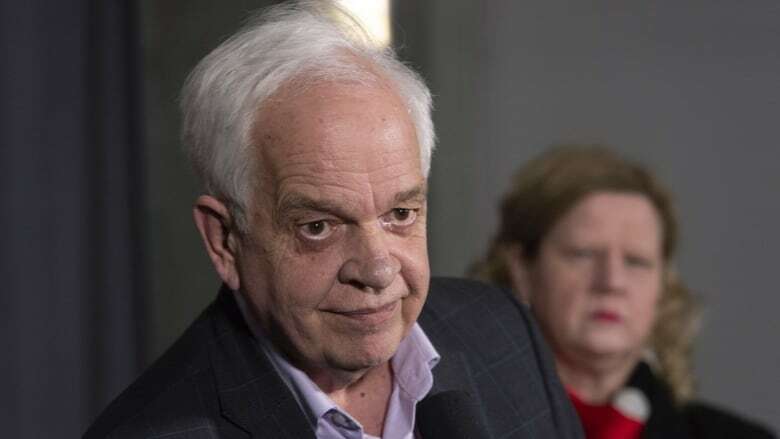 McCallum said the government is not saying don't go to China, but rather that each person must make a personal decision after evaluating the situation. If someone has a history of running afoul of Chinese laws, it's probably not a good idea to go, but ordinary tourists or business people should have no reason not to travel there, he said.